Wow! 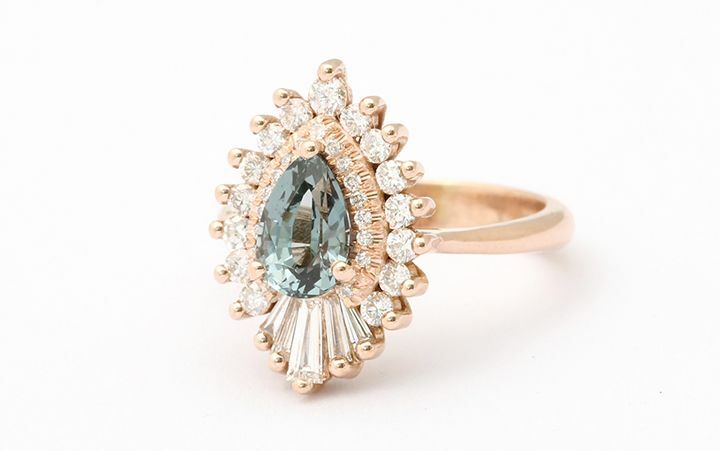 This stunner is called The Rhapsody ~ Its'pear shaped center stone is framed by a double halo of varying rounds that soften the sharp point of the pear. The halos are interrupted by the straight lines of the baguette stones.